View More In Meat Grinders. The new smokehouse Grinder grinds all meat & food. 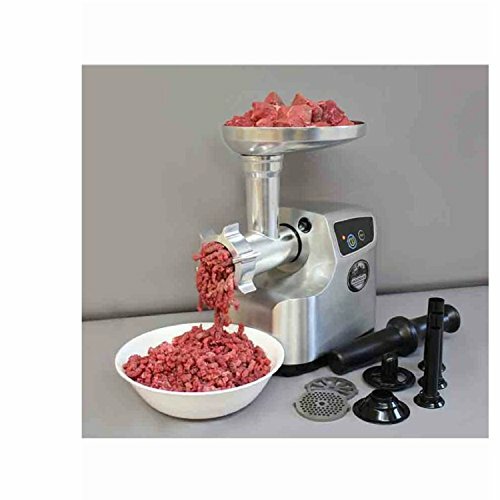 The 3/4 HP gear reduction motor & all-metal gears powerfully grind through wild meat tendons & sinew with ease. Simple push button controls for on/off/reverse. Grinder comes Complete with fine & coarse grinding plates & sausage Stuffer plate which works in tandem with included sausage Stuffer tubes. Unit is compact & light enough to store in your kitchen with a superior all metal exterior that is easy to clean. Perfect for daily kitchen cooking, powerful enough for the serious outdoorsmen. If you have any questions about this product by SmokeHouse, contact us by completing and submitting the form below. If you are looking for a specif part number, please include it with your message.